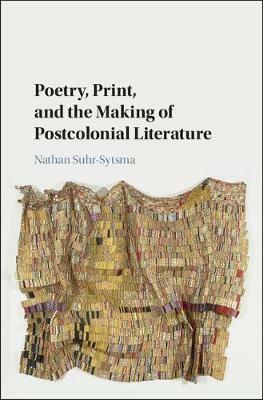 Poetry, Print, and the Making of Postcolonial Literature reveals an intriguing history of relationships among poets and editors from Ireland and Nigeria, as well as Britain and the Caribbean, during the mid-twentieth-century era of decolonization. The book explores what such leading anglophone poets as Seamus Heaney, Christopher Okigbo, and Derek Walcott had in common: 'peripheral' origins and a desire to address transnational publics without expatriating themselves. The book reconstructs how they gained the imprimatur of both local and London-based cultural institutions. It shows, furthermore, how political crises challenged them to reconsider their poetry's publics. Making substantial use of unpublished archival material, Nathan Suhr-Sytsma examines poems in print, often the pages on which they first appeared, in order to chart the transformation of the anglophone literary world. He argues that these poets' achievements cannot be extricated from the transnational networks through which their poems circulated - and which they in turn remade.